Next to mezcal, Canadian whisky (no "e," eh?) is one of the world's most slept-on spirits. So slept-on, in fact, that while everyone was going gaga for vodka, tequila and bourbon, huge stocks of the country's finest whiskies were quietly resting in casks. Some managed to stay hidden away for two decades, readying themselves for their big moment in the spotlight. That moment, friends, is now. A slew of well-aged Canuck classics and younger, even more exciting newcomers, are politely making their way across the border. Prepare yourself for some extremely affordable top-shelf offerings from the Great White North—no passport required. First, a little background: Historically, Canadians have referred to their whisky as "rye," even though rye was often just used as a flavoring component in what is otherwise a spirit made from corn, wheat, and barley. Second, much like the idea of paying to see a doctor, a mash bill is also a foreign concept in Canada. Instead, each grain is typically mashed, fermented, distilled and aged separately before being blended together for bottling (or, occasionally, another round of aging). That process actually allows the master distiller or blender a lot of latitude. He or she can dial up certain elements and bring others down, creating a spirit balanced to the blender's style. JP Wiser's 18 Year Old is one such blend of all four spirits, made in the traditional lighter Canadian style. Rested in used Canadian whisky barrels, it takes on a lot of the wood’s characteristics; it's deep, with a hint of earth, smoke, freshly cut wood and rye on the nose. There's some citrus and astringency on the tongue, but all around, it's a very light, well-balanced example of the classic Canadian style—at a great price. 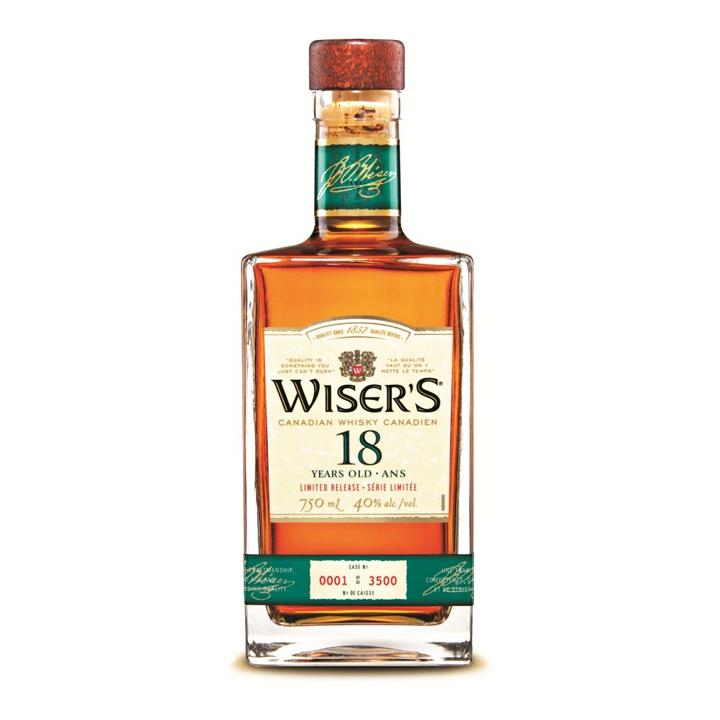 If the Corby/Pernod Ricard portfolio's Wiser's 18 is the lighter classic-style Canadian whisky, then its Lot No. 40 is the complete opposite. Made at Windsor, Ontario's Hiram Walker Distillery, this one explodes with rye and baked bread. It's dry and peppery on the palate, a little punchier at 43 percent ABV, and still very smooth, with a huge mouthfeel, rich complexity, and spicy finish. It's no wonder that when it was re-released a few years ago (after being briefly discontinued during the 2000s), it took home a Canadian Whisky of the Year prize. On the milder side, Corby's Pike Creek is another enticing smaller-batch offering, also made in Windsor and rested near Hiram Walker's Canadian Club barrels. Pike Creek undergoes huge temperature shifts between the area's muggy, hot summers and bone-chillingly cold winters.Consequently, there's a lot of interplay between the whisky and the American oak barrels in which it's first aged before taking a last dip in used port casks. The resulting whisky is soft, fruity, and pretty gentle over all, with nice hints of vanilla, cinnamon, and nut. 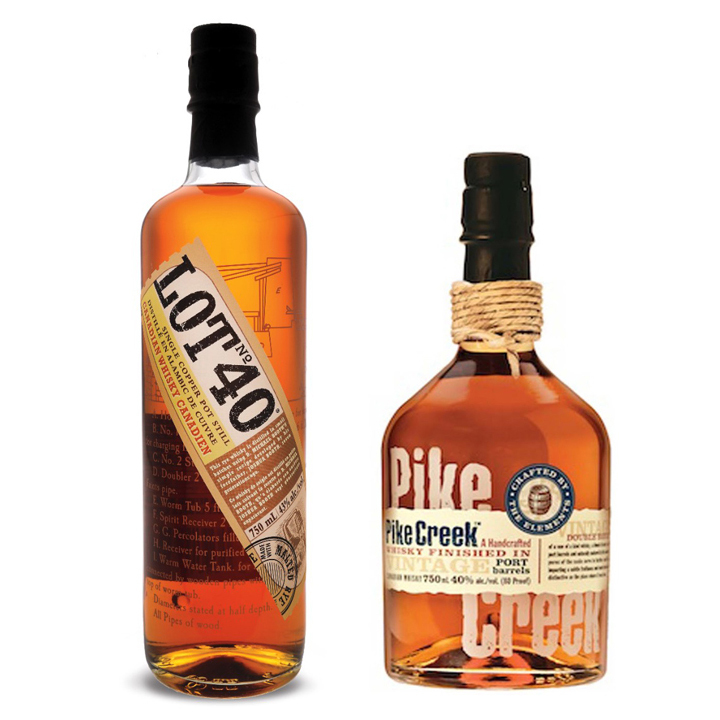 Pike Creek finishes with a touch of red wine, giving it just the right amount of sweetness. Canadian whisky's reputation as a lesser spirit has kept its prices unfairly low. Though, to be fair, a lot of what comes to the U.S. in bulk quantities is still bottom-shelf mixer—and that's sadly overshadowed the higher-end, small-batch stuff. On the bright side, that translates to a big win for the consumer. Case in point: Collingwood 21 Year Old. Where else can you find a beautiful aged-for-two-decades rye for under $60? Back in 1991, the distiller at Collingwood, Ontario's Canadian Mist plant put aside a few barrels of 100 percent malted rye whisky without any plans for it. Twenty-one years later, the current distiller, David Dobbin, bottled it for a one-off project, and it went on to win top honors at this year's Canadian Whisky Awards. 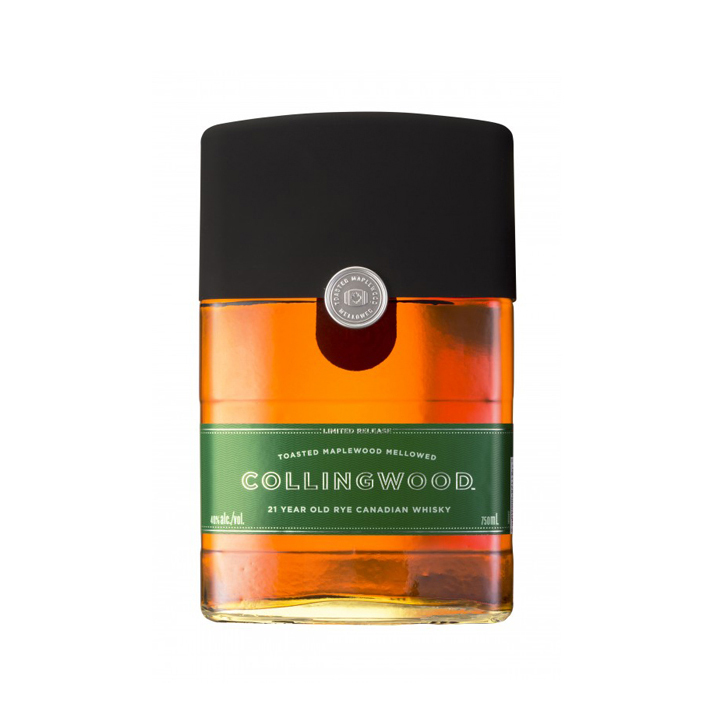 But don't be fooled by Collingwood's oversized cologne-bottle appearance. Inside is a wonderfully aged whisky that carries a nose of maplewood and caramel through the palate, where it's met with a slight sweetness, deep, mellow tanginess, toasted rye, and gentle oak. For its price, it's unbeatable. There are only a handful of major distilleries in Canada, and Calgary’s Alberta Distillers is one of the biggest—and most respected. And a good deal of the rye that Americans drink—whether via Canadian or American brands—is made there. One of the feathers in the Beam Suntory–owned distillery's cap has been its Alberta Premium Dark Horse—a flavor-packed blend of 91 percent rye whisky, 8 percent Old Grand-Dad Bourbon from the Jim Beam plant in Kentucky, and 1 percent Oloroso sherry. As of April, it's available for the first time in the U.S., under the name Alberta Rye Dark Batch. This one smells of ripe fruit, toasted rye spice and a touch of cola before transforming into a deeply complex and smooth whisky with a lengthy peppery-sweet finish. At 45 percent ABV, its solid alcohol punch makes it great for sipping or powering through a whisky-forward cocktail. 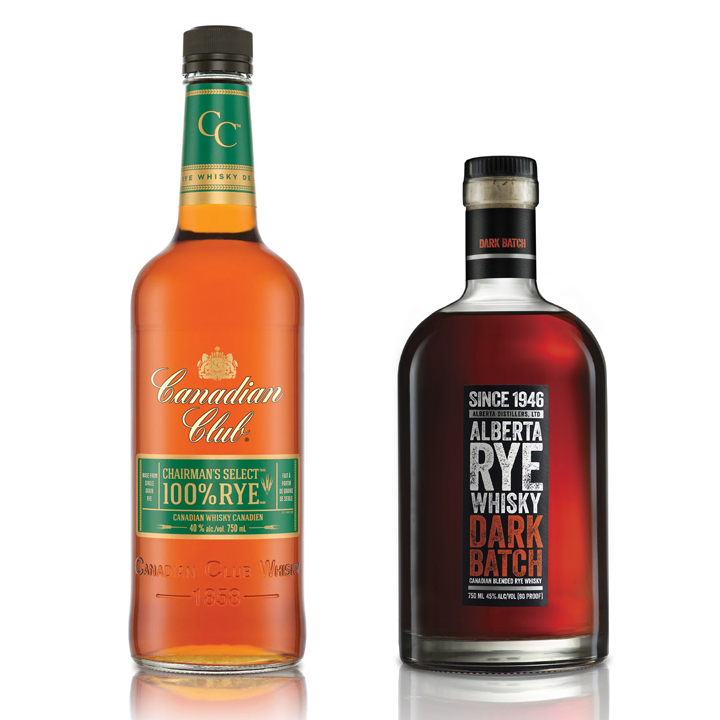 Also from Alberta Distillers comes a new addition to the well-known Canadian Club line—Chairman's Select 100% Rye. But this is not the Canadian Club you've come to know (and possibly not love). There's nary a trace of that cloying caramel and thinness that its predecessor offers. Instead, the Chairman's Select comes through with peppy flavor and a little heat on the way down. Sure, it's not as uniquely nuanced as most of these other small-batch 100 percent ryes, but at $27, it's hard to go wrong with this one—especially as a mixing companion. Alas, for now, it's only available in Canada. One thing about distilling and aging each grain individually means that Canada has had a ton of 100 percent rye sitting around in oak for decades. In the past few years, a number of brands have smartly swooped in and bottled the pure stuff for those consumers who seek gorgeously rich and peppery whisky in its most robust form, often at a much higher than normal proof. New York's Cooper Spirits bottle Lock, Stock and Barrel, an incredibly forward 13-year-old rye sourced from Alberta Distillers. It’s rested in charred American oak and bursts with flavors of wood, cinnamon, vanilla and a hint of banana. Another one with a big mouthfeel, LSB's well-rounded profile is complemented with nuttiness and a bright, smooth finish. Sonoma County's 35 Maple Street are the producers of Masterson's 10-Year-Old Straight Rye, another whisky crafted at Alberta Distillers. An outstanding rye no matter its origins, this one has big spice upfront, followed by a short whiff of coffee and dark chocolate that turns floral and grassy. Abundantly complex, with a nice 90-proof, Masterson's hits all the right notes. While WhistlePig is in the process of growing and distilling its own rye on a farm in Shoreham, Vermont, for now the 10-year-rested Straight Rye is made in Canada and bottled in the U.S. Any way you slice it, it's delicious. 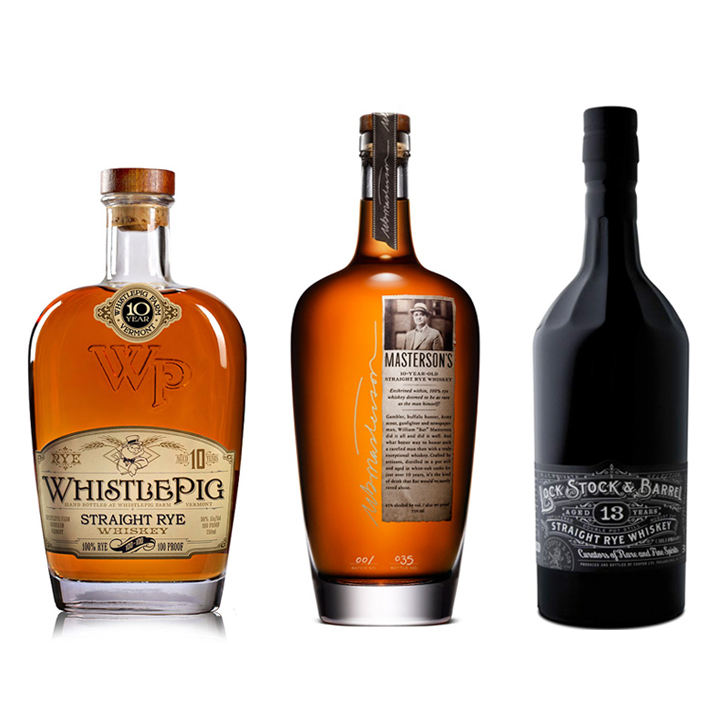 Bottled at 100-proof, WhistlePig is a bold, spicy and oaky whisky that's accented with clove, nutmeg and warm vanilla. Its equally expressive zing on the palate leaves a nice lingering finish. 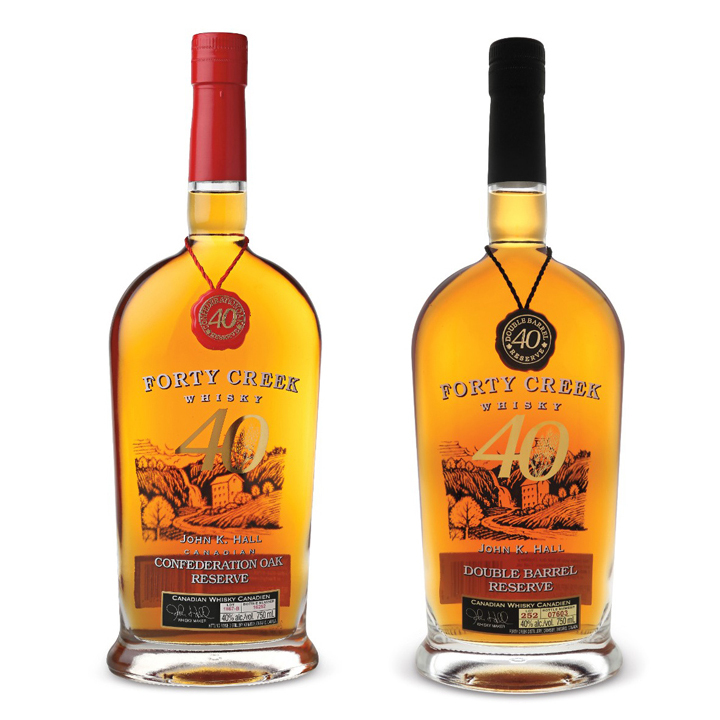 John Hall's hugely successful Forty Creek brand was recently purchased by Campari, but that hasn't changed how it make its spirits. While the company offers a cheaper Barrel Select mark, its higher-end (though still pretty darn affordable) bottles are among Canada's absolute best. The Confederation Oak Reserve is rested in Canadian white oak that was planted sometime around Canada's confederation in 1867. Each component of rye, corn, and barley whiskies are first aged separately and then re-barreled together for this special release. It's got a lovely mellowed spice, some nuttiness, a little bit of fruit and really nice oaky notes which all come together delicately with a clean finish. The Double Barrel Reserve, as its name suggests, also sees a second barreling, but this time in ex-bourbon casks. It has a sweet and complex nose that's just a little earthy, with notes of butterscotch, faint citrus and a touch of coconut. Its taste is rich, with lots of caramel, vanilla and oak that finishes with a pleasantly peppery sweet and dry balance. It’s full-bodied and delicious all the way through. While Canadian whisky's old-guard distilleries produce some amazing high-end spirits, there's a crop of new producers getting into the game. Concord, Ontario's Still Waters Distillery started by bottling others' spirits, but have since gone full-throttle distilling its own single-barrel booze in extremely tiny runs. Each cask is unique, and so is its ABV. 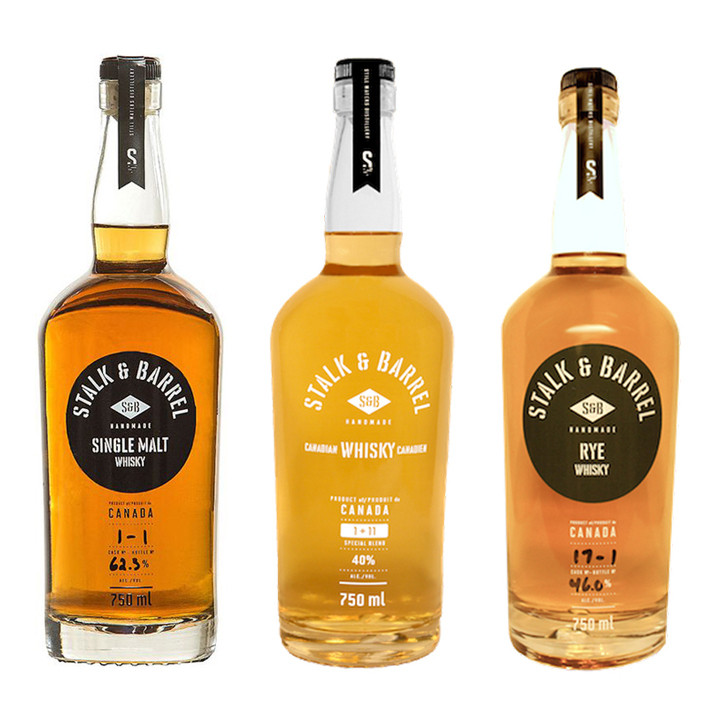 The Stalk and Barrel Rye (no relation to Lock, Stock and Barrel) was bottled at 60.7 percent and the distillery’s Single Malt Whisky at 60.8 percent—both of which were aged for about four years. The former, made from locally sourced grain, has a caramelly nose, and is an explosion on the palate—all dusty rye and intense flavor, backed with a lot of alcohol. It’s sure to be a hit with cask-strength fans. The Single Malt, made from Canadian-grown two-row barley, has a pleasant nose of vanilla, wood, banana and a little dark chocolate. It shows its youth pretty wildly across the palate, with big flavor (especially roasted hazelnut) and a whole lot of heat. But a drip of water does wonders to tame it. While Still Waters' Barry Stein and Barry Bernstein were waiting for those first rye and single malt releases to mature, they decided to make their own blend using whisky sourced from another distiller with a splash of their own distillate, as well. The result, 1+11 Blended Canadian Whisky, has a classic structure that's light and a little creamy, with a touch of vanilla and orange peel present throughout. A nice complement to its high-powered offerings. 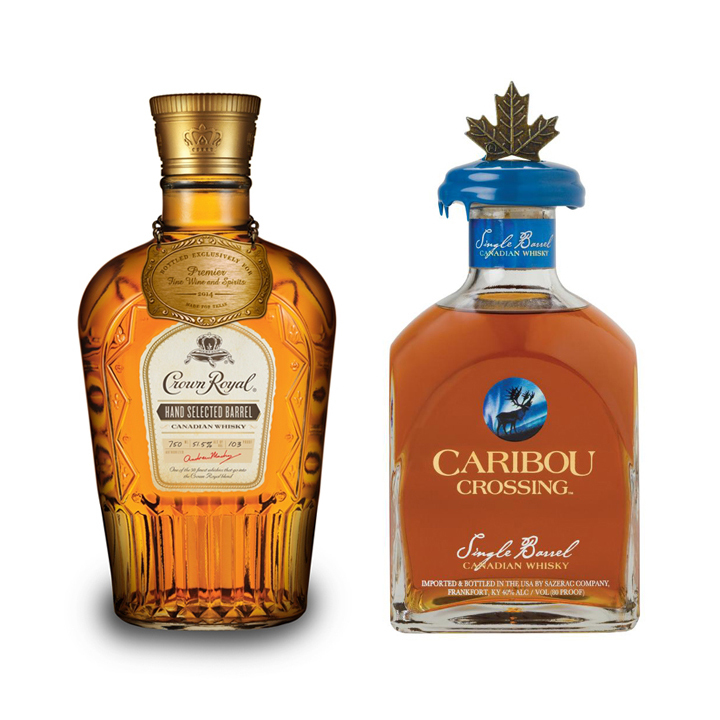 It's saying something when Canadian Club releases a 100 percent rye and Crown Royal puts out a cask-strength single-barrel bottling. The big guys are paying attention to the desires of high-end drinkers. Sadly, Crown Royal Single Barrel is only available in Texas for the time being, but hope springs eternal for a wider release, as it, too, is not your grandpa's Canadian whisky. It is distinctly a Crown Royal spirit, but at 103-proof, the grassy, earthy, woody notes hum alongside the rye flavors. The Sazerac Company actually has about 20 different Canadian whiskies in its portfolio—all of varying degrees of quality. Near the top, though, is Caribou Crossing, another single-barrel offering that is sweet at first, with some toffee, vanilla and a little citrus on the nose. It soon turns pleasantly creamy and finishes with gentle pepper. Want something simpler? Sazerac's Royal Canadian Small Batch will do the trick for under $20.